There is a simple key to starting something brand new. Just ask an entrepreneur. Better yet, ask someone who’s in the business of planting a church. I learned just that as I had the opportunity to interview four pastors who are in various stages of planting brand new churches. You won’t find more dedicated, hard working individuals than pastors who give their heart and soul to making something that had never existed before. They have a love for God and a heart for people. I’m working on a project with a fellow pastor who wanted to put together some case studies of local church plants. One by one I interviewed these pastors and learned that they all held in their hand the key to starting something new. It was an eye-opening experience to see the seedlings of young churches that meet together in old warehouses, storefronts, and remodeled rooms. But each of them knew for certain the way to starting something new…in their case, a new church. So, what’s the key? The key is to find a hole, an opening, a need, or a niche, and fill that hole, opening, need, or niche by delivering the universal message of the Gospel of Jesus’ love and forgiveness in the way that speaks to the particular people you are attempting to reach. 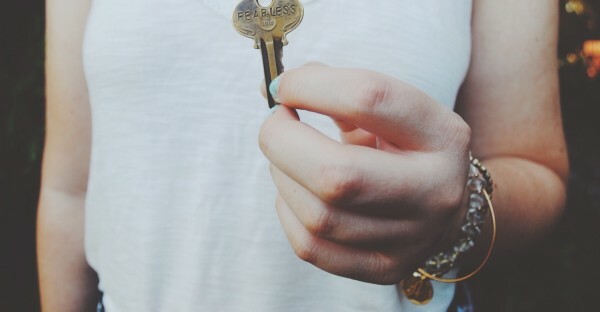 In every case, these pastors have started something new by using this simple key. In every case, these pastors have brought about something viable (with the help of the Holy Spirit) by reaching people who had previously been unreached. For one it was young families. For another it was those seeking a sense of home. For yet another it was people who needed authenticity in their lives outside of work. For the final pastor it was people who desperately needed genuine relationship in their lives. There is most certainly a strong theology behind what each of these pastors are doing. They are preaching and teaching. But to do that effectively, they had to determine who it was to whom they would preach and teach. Want to start something new? Determine a hole, an opening, a need, or a niche and fill it with something you know, with your passion, with your particular skill or talent. That’s the key. What have you learned by starting something new?